The Middle East is not only the cradle of civilization but also the epicenter of eclectic cuisine. From tapas in Northern Africa to the popularity of pita and kebabs across the Arabian Peninsula, this region offers travelers a taste of a wide variety of cultures. And while there is a misconception that some Middle Eastern countries are dangerous, the majority of the region is deemed very safe for travelers and offers unparalleled opportunities to explore ancient architecture and iconic landscapes. Foods across the Middle East are focused on fresh ingredients and the influence of aromatic spices from the east. Olives and chickpeas are a staple of the region’s cuisine as well as the figs, dates, pistachios, and honey that’ll satisfy your wandering sweet tooth. Because some religions practiced in the Middle East prohibit alcohol and pork products, you’ll find those items take a less prominent role in restaurant menus. Leave plenty of room for coffee, though. It’s the beverage of choice throughout the Middle East. Middle Eastern food is sometimes referred to as Levantine cuisine but the terms shouldn’t be used interchangeably. 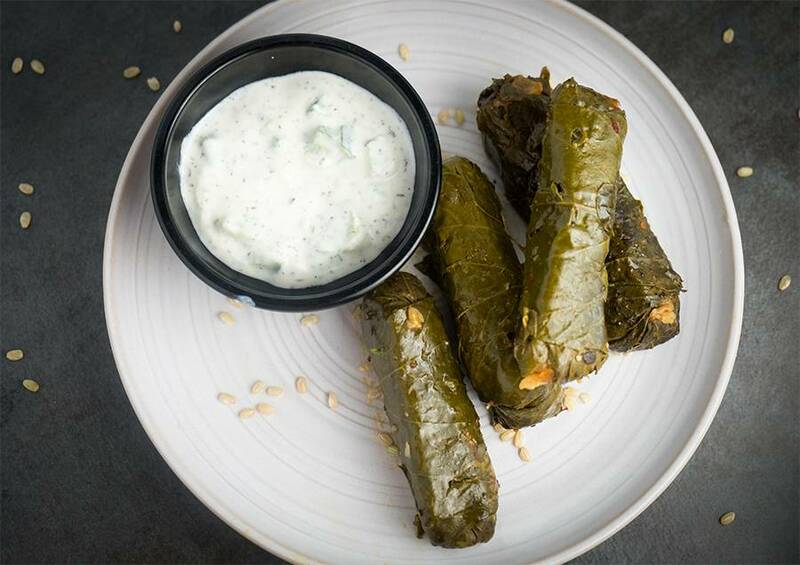 Levant is the eastern Mediterranean region made up of countries like Jordan, Syria, or Turkey where meze dishes such as hummus and tabbouleh dominate the food scene. Levantine cuisine can be a real blessing for traveling vegetarians as many staple dishes avoid meat. Grab your ticket to exploring the exotic tastes of the Middle East and don’t miss out on some of these fantastic foodie adventures. When you think United Arab Emirates, you probably think Dubai. The country has become synonymous with the bustling, glamorous metropolis of skyscrapers and luxury shopping malls the size of small cities. But beyond the glitz of Dubai is a Middle Eastern country rich not only in cultural heritage but also in traditional cuisine. Manakish is a Levantine version of pizza. Leavened dough is topped with spices, cheese and meat and is a popular street cart food. Much like pizza in the Western world, manakish can be eaten sliced or folded and is acceptable fare for lunch or even breakfast. Baba Ghanoush steals the show as a versatile dip made from roasted eggplant, tahini (paste from sesame seeds), olive oil, and various fresh herbs. Rich and creamy, it’s typically served with pita as an appetizer before the main meal. Once an exotic local of teeming street markets and the allure of the ancient pyramids, Egypt’s tourism industry has been decimated by travel safety concerns. If you do journey to Egypt, it’s advised to go as part of an organized tour group and to stay in cities like Cairo or Alexandria. The reward of travel to Egypt though can be a unique and unprecedented experience, where the cultures and cuisines of Africa and the Middle East mingle. Shawarma is quite a mouthful to say and eat. 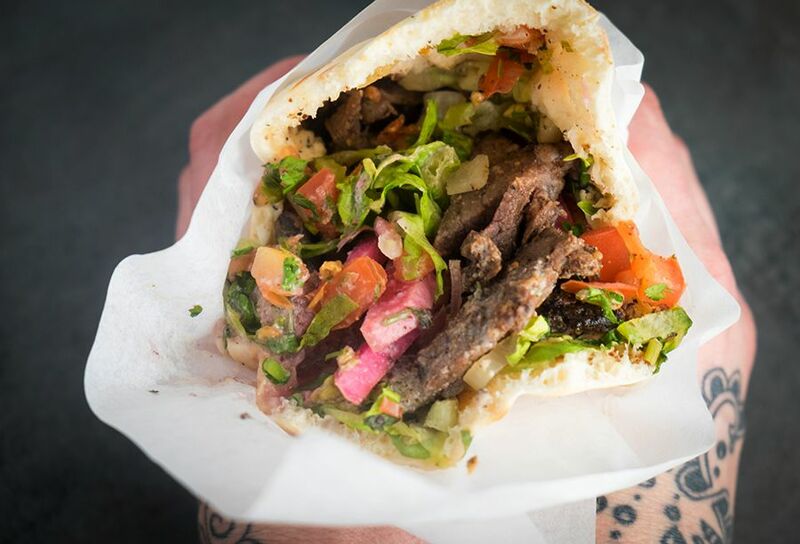 Lamb, chicken, or beef is placed on a spit and grilled for up to a day, then sliced off in thin ribbons or hunks and placed with other ingredients in a pita. 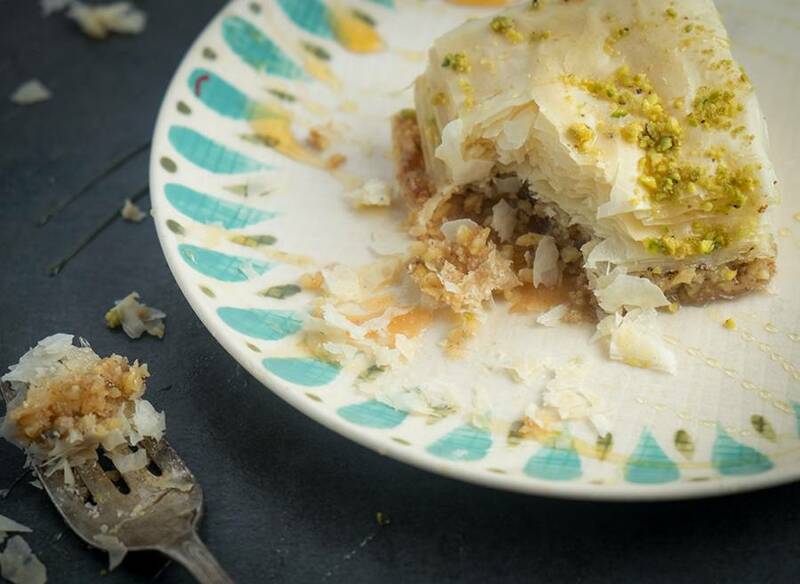 Ummm ali sounds more like an exclamation but it’s actually an Arabic phrase meaning “Ali’s mother.” This pudding is a popular dessert in Egypt involving puff pastry, pistachios and sometimes raisins, flooded with cream or milk and sprinkled with coconut. The hustle and bustle of any international city like Cairo can be a little intimidating. How do you ensure you’re getting the best the city has to offer? Ask a local, of course. Currently, tensions are a bit high in regards to traveling to Turkey but this is largely a result of diplomatic relations between countries. Turkey, especially Istanbul, is relatively safe for tourists and when the country begins to approve visitor visas again, you’ll appreciate being first in line to sample the melting pots of tastes that arise from straddling both Europe and Asia. Baklava is a rich dessert of puff pastry, sandwiched between layers of nuts and honey. Served in squares, it’s a traditional dessert of the Ottoman Empire but like Istanbul, its heritage has been widely debated. Some believe its a result of Byzantine cuisine, while others say it was influenced by Persian desserts. 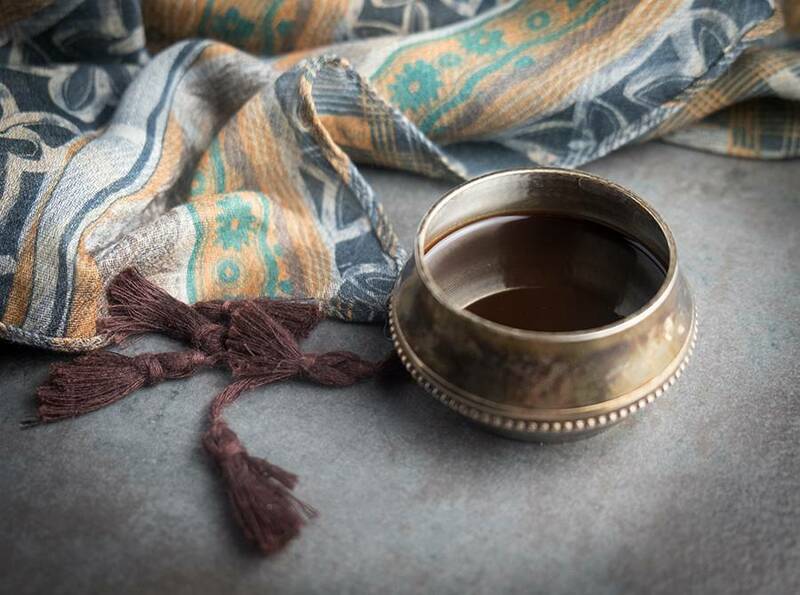 Turkish Coffee has a particular preparation where unfiltered coffee beans are finely ground and boiled with sugar and cardamom in a special pot called an ibrik. It is then dispensed into small cups and allowed to sit so the grounds sink to the bottom and settle. Want to nibble a little baklava? Find the best baklava in town by asking in Turkish. En lezettli baklavayı nerede bulabilirim? Currently Iran is definitely not a tourist destination, but hopefully in the near future the country will recover from political instability and be able to welcome visitors back with open arms. Any future traveling to Iran requires careful planning however. Tourists visas are the hard part and most Westerners will not be allowed in the country except as part of a tour group. Once inside the Persian empire however, you’ll find the Iranian people are very friendly. Tehran, Iran’s largest city, is actually quite a modern place where despite the dress code, women are fashion conscious and fast food restaurants line the streets. Avoiding the comfort of the familiar and venturing into the traditional tastes of the Persian empire can be a hugely rewarding experience. If you can’t make it to Iran, try to sample a few of these exotic tastes at a Middle Eastern restaurant near you. Dolmeh should be first on your must-taste list. These rolls are actually meat, rice, and herbs, rolled into grape leaves and basted with lemon juice. One bite is never enough so be prepared to over-indulge. 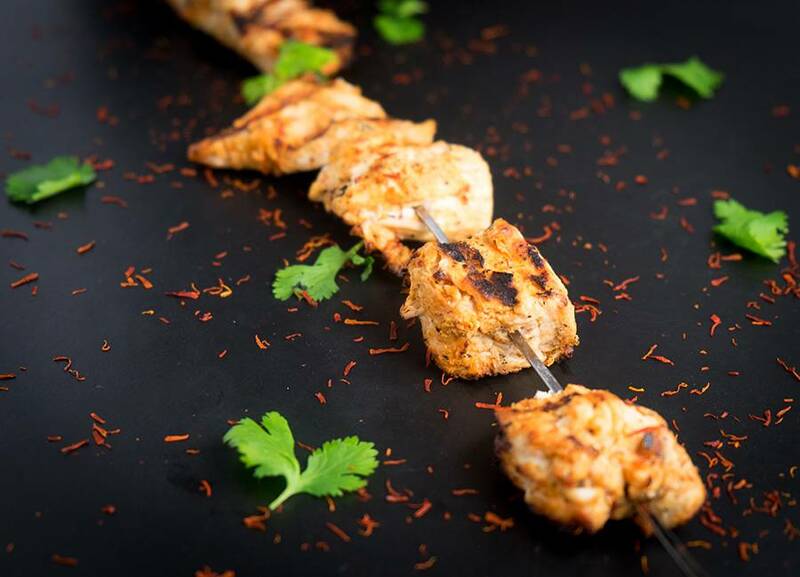 Kabab Barg are chunks of lamb, beef or chicken on skewers, seasoned with saffron. Kababs are hugely popular throughout the Middle East, but it’s the addition of saffron that makes these uniquely Persian. Saffron is one of the most expensive spices in the world, derived from a flower native to Eurasia. There are three different types of Saffron: Indian, Austrian, and Kashmiri. The Kashmiri variety is the rarest, grown in the Kashmir valley along the border between Pakistan and India. Getting unidentified meat off a street cart in Tehran can be a scary prospect, but a recommendation from a local will ease your mind. Asking for the best kababs in Persian, otherwise known as Farsi, should steer your stomach in the right direction. Foodie or Foolhardy? You decide. In Iran, a popular street cart food is del, jigar, and gholveh kababs. While they may look like every other kabab you’ll run into all across the Middle East, these pieces of popular meat are actually the heart, liver, and kidney meats of various animals on skewers. Bon Appetit to the brave! Traveling to a local spot in the Middle East? 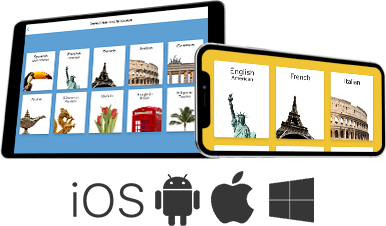 Start learning Arabic, Farsi, or choose from dozens of other languages. Take the demo for free.